Urschel Laboratories, is a world leader in the designing, manufacturing and selling of precision food-cutting equipment. After many remodeling projects, additions and changes to their existing facility in Valparaiso, they were land-locked and could no longer expand, so made the decision to relocate to a new building. The result is a 350,000+ square foot facility, constructed on a 160 acre parcel of land in Chesterton, IN. 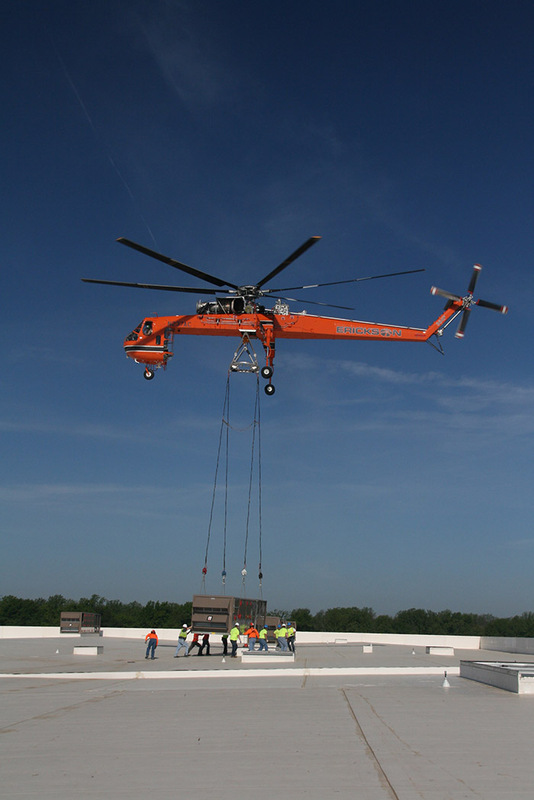 This was an impressive project, and included extensive hvac piping throughout the factory floor, plumbing work, as well as over 50 HVAC units placed on the roof. 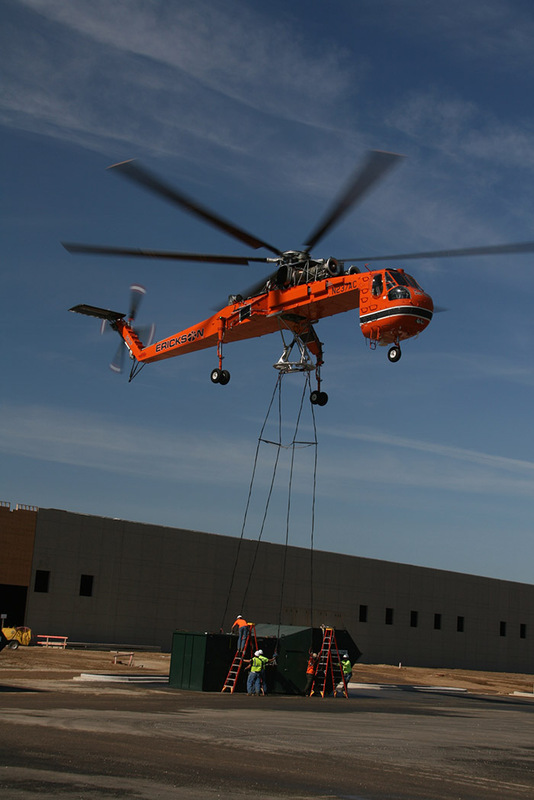 Due to the size of the building, placing the equipment required utilizing an air-crane helicopter, contracted from Oregon, to lift the equipment up to the roof. 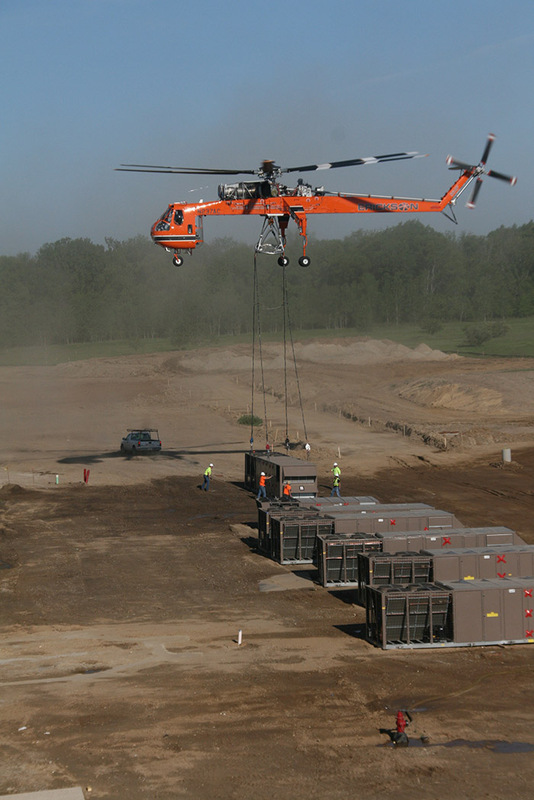 The operation required a huge crew, both on the ground and on the roof, to get the units in place. The high-tech facility has many components, from the factory floor, foundry, test kitchen, lobby space with museum-quality displays, office area and conference space, and warehouse & shipping. Each area had its own unique challenges and requirements for HVAC and plumbing. Arctic engineering worked in conjunction with the owner, engineer and equipment suppliers to ensure equipment design and installation met the owner’s expectations.